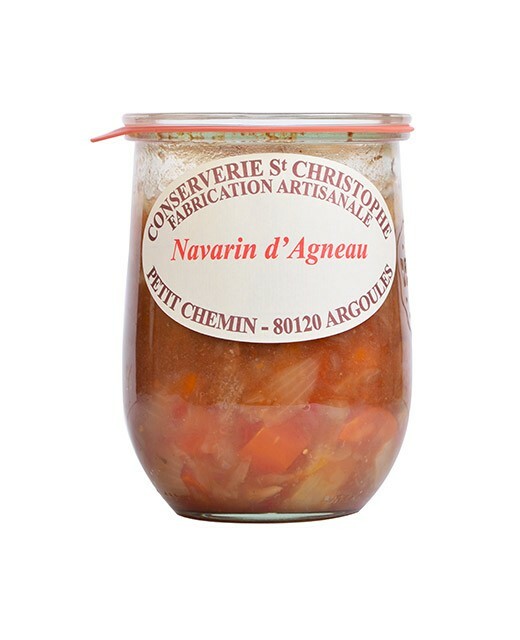 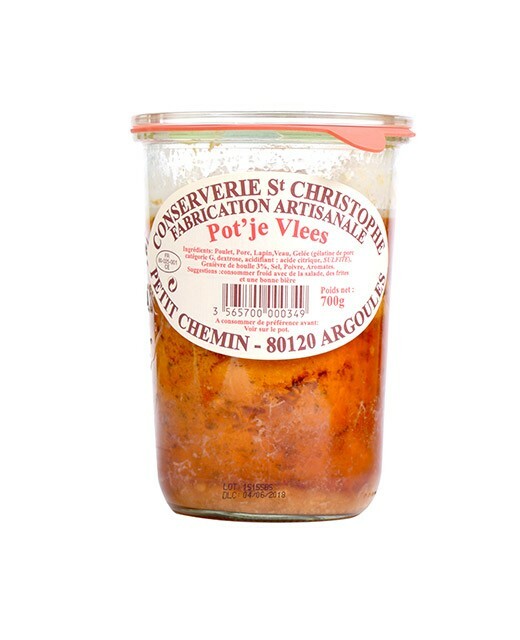 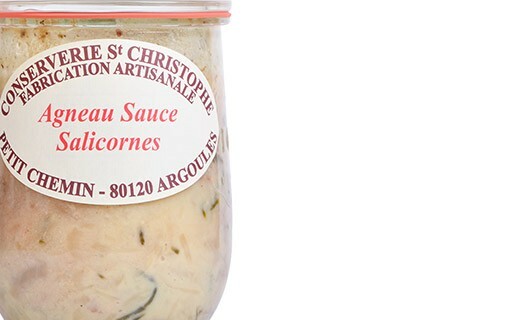 The canning factory Saint Christophe, well-known for using regional products, also incorporates Salicornia from the Bay of Somme to this delicious dish based on lamb. 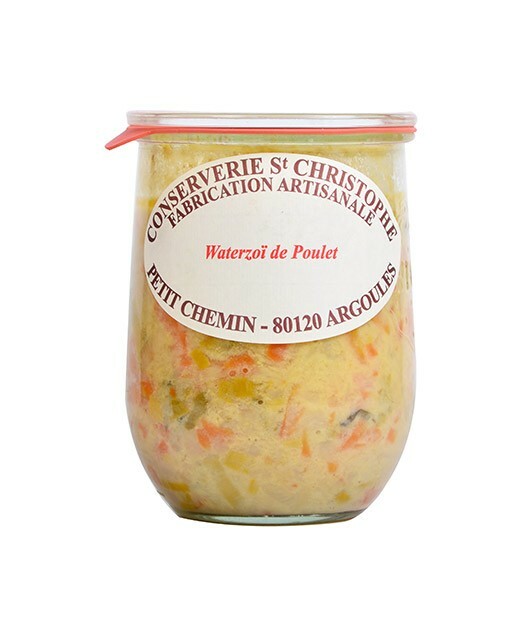 Serve it with a little bit of rice after reheating it in a big platter in traditional oven, and it is ready to be eaten! 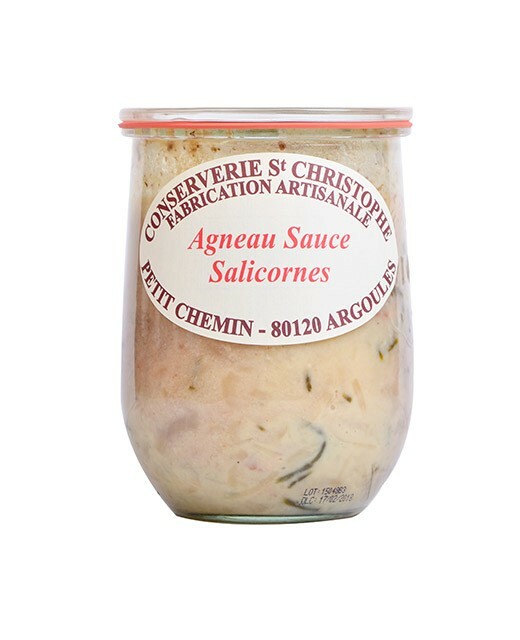 Lamb 450g, sauce : salicornia 8%, onions, crème fraiche (fresh cream), smoked bacon, flour, salt, pepper, herbs and spices.